Are you thinking of selling your house? Have you noticed a strange musty smell coming from your air vents. It’s a good idea to look at your air vent boots (picture below) when they get damaged you can run into problems. Little problems like leaking air from the base so it doesn’t blow into your room, to large problems like letting in bugs, water and sand into your system. Air ducts carry hot and cold air around your home. Some help usher cold or hot air to different parts of your house while other ducts return the air back to the original source. Having efficient and working ducts allow your air conditioning unit or furnace to run easier and allows for smoother, healthier air flow. This can also result in reducing your energy bill as well. 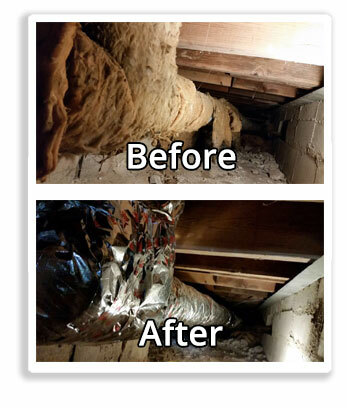 That is where air duct repair can help! Air duct lining, coating, sealing are names that refer to duct coating and repair work. Our trained technicians will perform a video inspection for the entire duct system to determine the damage and plan the right approach to fix your problem. Our professional technicians will restore and fix your ducts using an environmentally friendly system with our heavy duty equipment so that you will not have to leave your house anytime during the installation and repair work. Give Duct Squads a call today at 405-607-0799 to learn more about our air duct repair Oklahoma City trusts from Duct Squads. Duct Squad provides you with a variety of promotional affordable payment plans designed to fit specific financial needs, start at No Monthly interest for 25 months.